When you click on this link you will be directed to the TCC Library Home Page. This content resides under the “Faculty” tab and after this page opens you are going to see why Librarians play such an absolutely vital role in faculty identification, adoption and curation of OER content. This LibGuide was prepared by Ruth Shumate with the support and assistance of TCC’s team of awesome Librarians. Remember, even though someone else may have done the “heavy lift” for you, as the adopter of OER it is still your responsibility to verify that the content is properly licensed! Please note that search.creativecommons.org is not a search engine but rather offers convenient access to search services provided by other independent organizations. CC has no control over the results that are returned. Do not assume that the results displayed in this search portal are under a CC license You should always verify that the work is actually under a CC license by following the link. Since there is no registration to use a CC license, CC has no way to determine what has and hasn’t been placed under the terms of a CC license. If you are in doubt you should contact the copyright holder directly, or try to contact the site where you found the content. Open Educational Resources are distributed across the Internet. There is no one definitive source for finding them. It is unlikely that you will find OER that perfectly fit your needs. 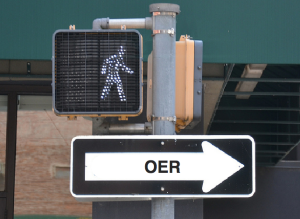 In looking at OER remember that most OER can be used in whole or in part and/or modified and customized to fit your specific needs (except for resources with a “No-Derivatives” license). As an aid to your search the OPEN team is providing a wide range of search engine and source links on this page. OER come in a wide variety of types. Many educators are simply looking for individual media elements to use within their courses, such as photos, graphics, videos, and audio, that are openly licensed in a way that freely permits education use. For TAACCCT grantees developing curricula for technology, engineering, science and services areas we’ve done some advance searching for you and developed an OER Matrix which provides links to OER specific to subjects in all these areas.